New rules address transferability of applications, preferences for veterans, and more. On November 25, 2014 the Department of Housing Preservation and Development formally adopted amendments to the rules governing city-aided limited-profit housing companies, commonly referred to as the Mitchell-Lama program. A public hearing on the proposed changes was held on November 6, 2013 and public comments were received by HPD through November 30, 2013. Mitchell-Lama is a state program established in 1955 for the development of rental and co-op housing affordable for middle-income residents. Today there are 54,000 units of Mitchell-Lama housing in New York City. HPD oversees the housing by itself or jointly with the federal Department of Housing and Urban Development. Owners of rental buildings and co-ops may opt-out of Mitchell-Lama after paying off the subsidized loans and mortgages, ending the tax abatements and placing the housing units onto the open real estate market. The amended rules tighten the application process for a Mitchell-Lama unit, requiring an applicant meet the development’s eligibility requirements at the time the apartment is offered to the applicant, rather than at the time the applicant first filed the application. Applications are now only transferable to a spouse or adult child of the applicant, and only if the spouse was married to the applicant or if the child was of age at the time of application. Applicants will be disqualified if they submit multiple applications for the same development, or if multiple members of the same household apply for the same development. Appeals of rejections, in writing, are permitted within thirty days of the date of written notification of the rejection. The amended rules now give preference to applicants who are veterans or the surviving spouse of a veteran, where before preference was shown to veterans only, and not the surviving spouse. The rules specify the mere inclusion of a veteran or a surviving spouse in an applicant’s household is insufficient for preference. Preference will only be shown for veterans or surviving spouses who are on the waiting list as applicants of record and self-identified as head of the household. The amended rules also increase HPD’s ability to grant waivers of occupancy standards. Under the old rules, waivers were only granted for medical reasons. 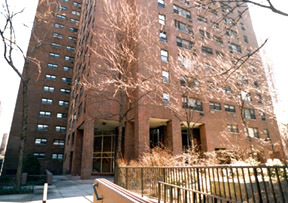 Under the new rules, HPD may grant waivers of occupancy standards where there are no available applicants on the waiting list, where the other requirements including income have been met, and HPD determines it is in the development’s best interest to fill the specific vacancy by offering the apartment to an applicant on the waiting list of a different-size apartment. The new rules also permit HPD to waive rules, on the initiative of HPD Commissioner Vicki Been, if in the Commissioner’s opinion the application of the rules in a specific case or emergency condition may be shown to effect undue hardship. City Record, Nov. 25, 2014 at 4359. I HAVE A QUESTION REGARDING “VA LOANS” AND MITCHELL-LAMA.. I AM CONSIDERED A ‘PEACETIME/COLD-WAR” VETERAN (SERVED AFTER 1979. I AM, HOWEVER A %70% SCD VETERAN, AND HAVE MY ‘CERTIFICATE OF ELIGIBILITY” FOR VA HOME LOAN. COULD I USE THIS, IN THE ACQUIREMENT OF A MITCHELL-LAMA CO-OP?